I am very happy to announce that Bamboo Events Chennai has started its 100% operations in Chennai. First of all we like to thank Chennai corporates and people for trusting us. In this grooming period of 6 months we have learnt many things about the style of Chennai in event management. Corporate’s spent their valuable time to us teaching what Chennai wants and how they like different things. Once again we thank everyone who supported us. We are an event management company operating in Chennai, Bangalore, Hyderabad, Vizag and head quartered in Coimbatore. 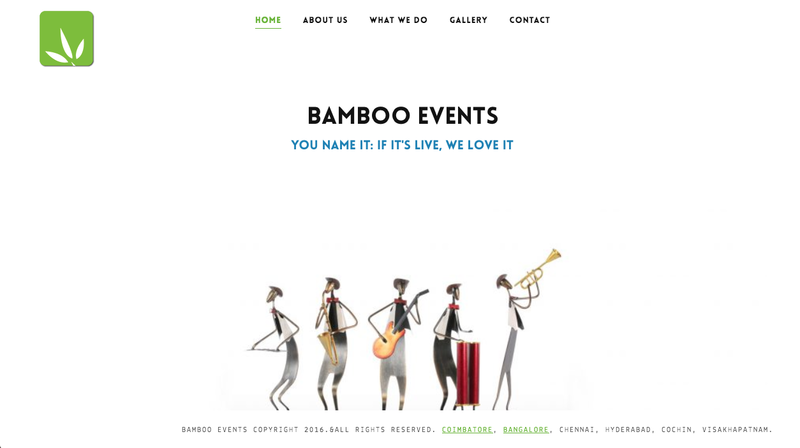 Good to know about bamboo events company. Event management companies are the main reason for corporate people to get entertainment and have a leisure time.